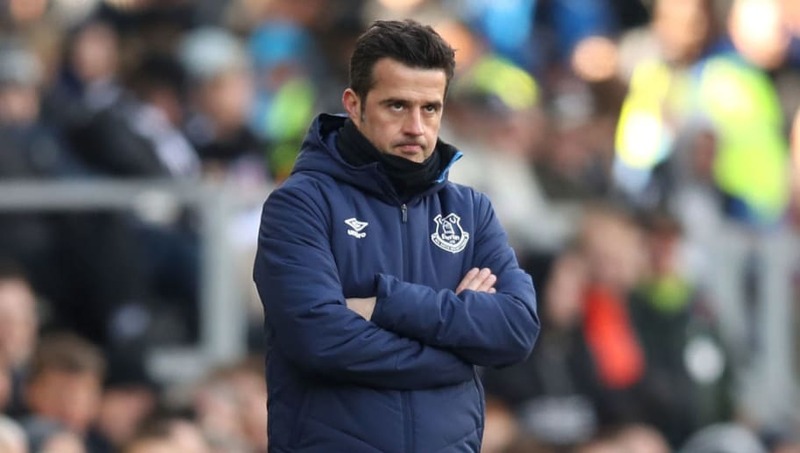 ​Everton manager Marco Silva bemoaned his side's lack of aggression after they produced an insipid performance in ​​their 2-0 defeat to Fulham. Second-half goals from Tom Cairney and Ryan Babel helped seal what was a routine win for the already-relegated hosts, as the Toffees looked out of sorts all afternoon, despite coming into the game off the back of three consecutive league wins. Speaking after the game, Silva admitted his side didn't do enough at Craven Cottage to warrant earning three points, as ​Everton missed out on the opportunity to go up to seventh in the ​Premier League. As quoted by ​Sky Sports, he said: "It was a disappointing result and a disappointing performance. I didn't expect this because we've been on a good run, and we've been in good confidence also. We knew it would be difficult playing here. The defeat in west London means Everton remain in ninth place on 46 points, just one point behind Leicester City in seventh, which could be good enough for a place in next season's Europa League, should Watford lose to Manchester City in the FA Cup final. While Silva acknowledged his side's poor performance, he suggested that Fulham's gamesmanship in the second period meant Everton weren't able to generate any rhythm. A number of stoppages in the second half - mainly injuries which required treatment - resulted in eight minutes of added time, although he refused to use that as an excuse. He added: "We didn't play football. If everyone came here to watch football, the second half was not a football match.